This just arrived in the post. It sounds amazing. 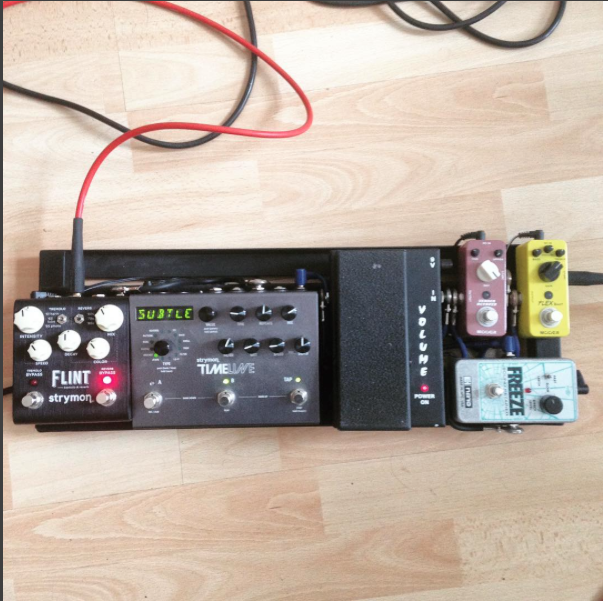 I'd been using a TC Electronic Trinity reverb for the past year and wasn't entirely happy. I always thought the ambient sounds were a little too artificial and the spring reverb sound sucked, the hall and plate sounds were cool though but I was never totally happy. Anyway I had some money in my paypal balance so I decided to splurge on a Flint. I'm very glad I did as it's awesome. Very nice, have wanted one of these for ages. Very impressive. Probably about the price of a Twin Reverb in my youth, but much more portable.